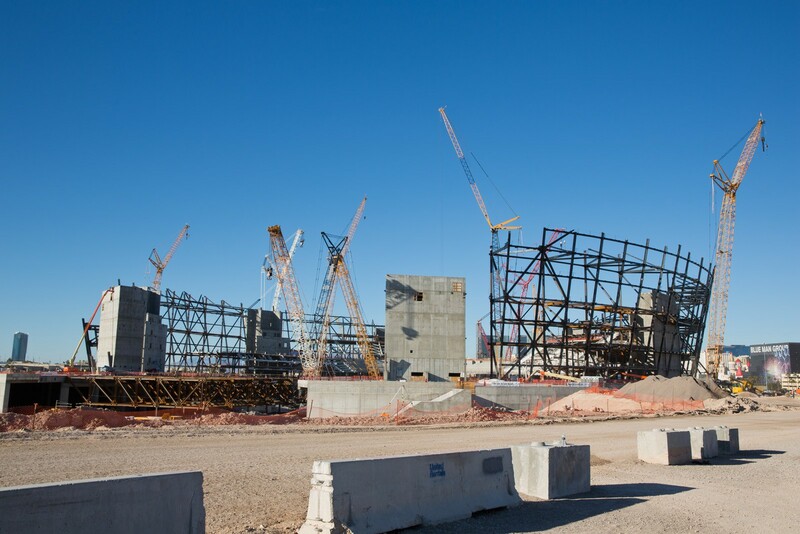 A new report from a local vlogger suggests that recent delays in the construction of Las Vegas Stadium could push the opening date for the arena back to around the same time that preseason games would be set to begin for the Raiders in the 2020 season. Currently, the Raiders are expected to play out the 2019 season in Oakland, before moving to their new home in Las Vegas for the 2020 campaign. The latest update comes from Richard Lightowler, aka “Jedi Rich” on Twitter. In a 26-minute video posted on YouTube, Lightowler, who dubs himself as “the unofficial Las Vegas Raiders street photographer,” toured the Las Vegas Stadium construction site, showing a venue that has already begun to look impressive, but clearly needs significant work over the next year and a half. A shorter version of that same video was shared to Twitter, along with a message that suggested the timeline for the stadium opening had been pushed back. That news is similar to what was reported by the Las Vegas Stadium Authority in January. While the date for “substantial completion” had been adjusted from July 31, 2020 to August 4 of that year, the authority didn’t appear to be concerned. “As of January 31, 2019, all reports generally indicate the Las Vegas stadium project is on schedule and on budget, will include all project elements and will meet the project standards set forth in the Stadium Development Agreement and Senate Bill 1,” the Stadium Authority wrote in a project status report. According to Lightowler, inclement weather is responsible for delays that could push the stadium timeline close to the first games that are planned for the venue. That contradicts a report from the Las Vegas Review-Journal, which reported last month that a winter storm had “little to no impact” on the stadium’s estimated completion date. Even if the stadium itself is built in time for play in the 2020 season, it’s unlikely that other infrastructure improvements will be done by then. The Las Vegas Monorail is expected to extend the route to the Mandalay Bay, which would provide a stop that was convenient and walkable to the Las Vegas Stadium. However, a February report in the Las Vegas Sun said that there is now no timeline for the extension to be built, and that it is unlikely that the new stop would be opened in 2020. Along with the Raiders, who would have their first regular season game at the arena in September 2020 (with preseason games in August), Las Vegas Stadium is also set to host the UNLV football team. The school’s first game in the venue is scheduled for August 29, 2020, when the Runnin’ Rebels will host Cal.